Last night, a chance photograph of a large Cellar Spider led to a wonderful discovery. Our Pholcus phalangiodes is gravid! 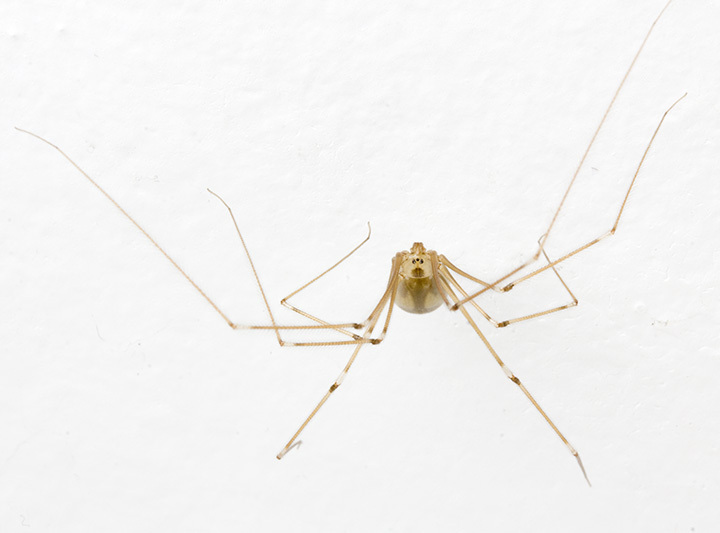 These Longbodied Cellar Spiders are temperate representatives of a largely tropical group of spiders, and are common members of the household fauna. This gravid cellar spider has a large distended abdomen and through the cuticle you can see her ovaries with their developing eggs. The newly yolk-filled eggs are white, and as they mature, they become dark towards the end of the abdomen. I am expecting that soon we will see this female brooding her package of newly-laid eggs soon, as this one did in the same spot last year. Within a month or so, these will hatch into gorgeous little translucent Cellar Spiderlings which will remain close to the female until after their first molt. Despite her advanced gravid state, our Cellar Spider has not lost her long-limbed lean look, which is probably easy if you are a Cellar Spider! 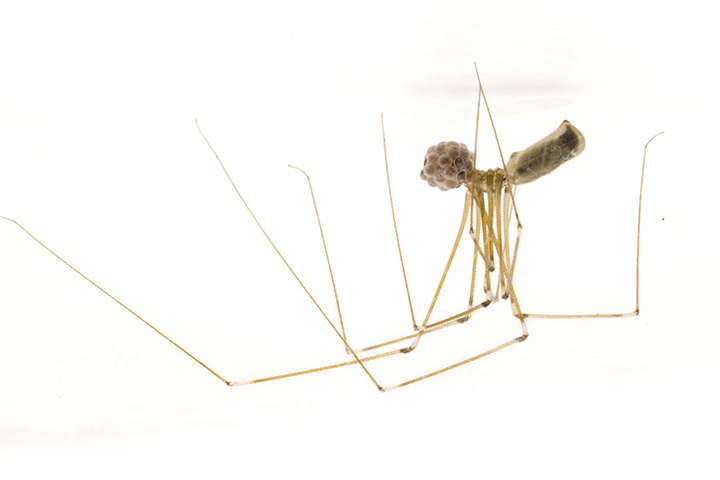 For more information about the reproduction of this impressively leggy species, see here. Excellent series, Sean! i’m looking forward to seeing the spiderlings with mom. Yes, she is quite lovely. Along with jumping spiders, cellar spiders are my favourites. I’m happy to encourage both to share my home with me. Strange that this female picked the same place as last year to raise her family. 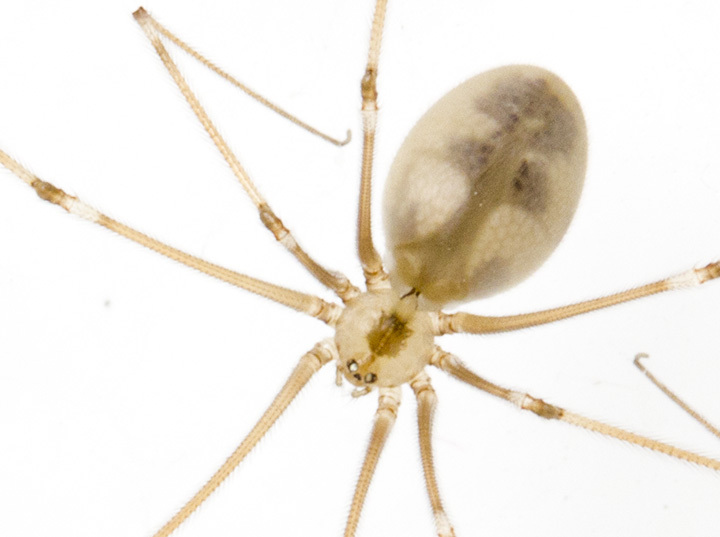 I’ve got a few cellar spiders – none pregnant or carrying an egg sac yet this year but I’ve never seen a female with egg sac in the same spot twice. 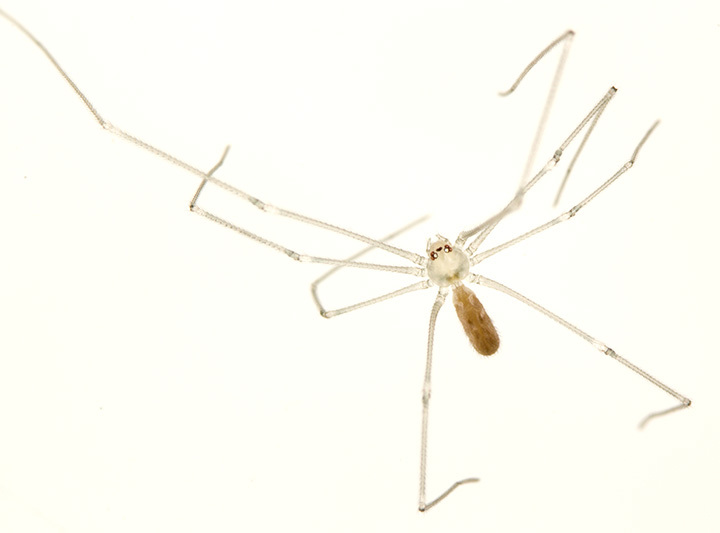 I know despite their frail look, they supposedly can polish off spiders as large asTegenaria gigantea. Any idea what might kill them inside as I some will simply disappear and they weren’t even fully mature yet? 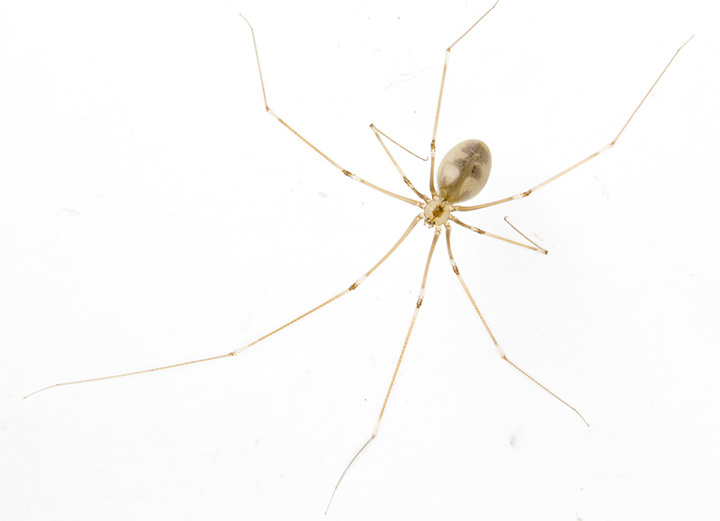 I’ve also come across yellow sac spiders in my place and wonder if they’re the guilty party. I know they can handle formidable prey by relying on their long reach and silk throwing, but I would think that if they were eating large Tegenaria they would leave the carcasses below….Then again, perhaps they are so shriveled afterwards that they are hard to notice! I have a ton of those under my house – you make them look fantastic!